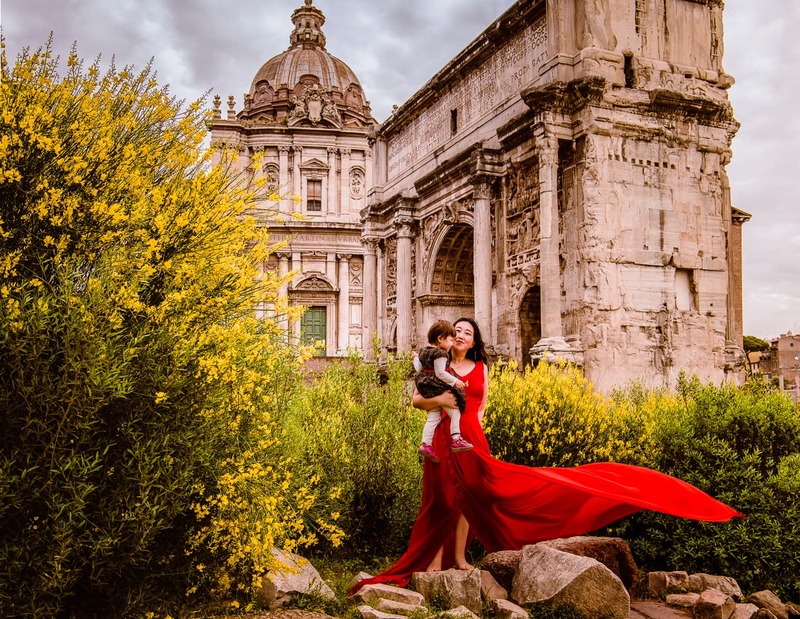 The Roman Forum is one of the most amazing archaeological sites in the world. It also happens to be very photogenic because Rome has done such an amazing job maintaining it (well, once it was already in ruins). We were in Rome, Italy for a month, which gave us plenty of time to look around and find the best photography angles for the Roman Forum. 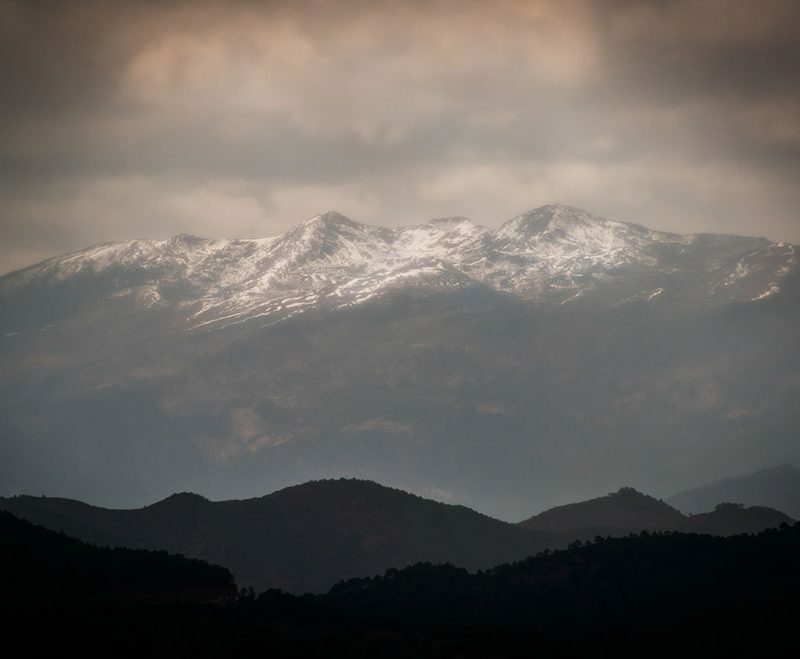 In this photography guide, we’ll share the best locations and angles we found. Some of them are inside the Roman Forum itself, requiring a ticket, others are free. We also have a lot of tips for a smooth visit and photo shoot. We were lucky that we happened to be staying very close to the Roman Forum. Well, actually, it wasn’t all luck. 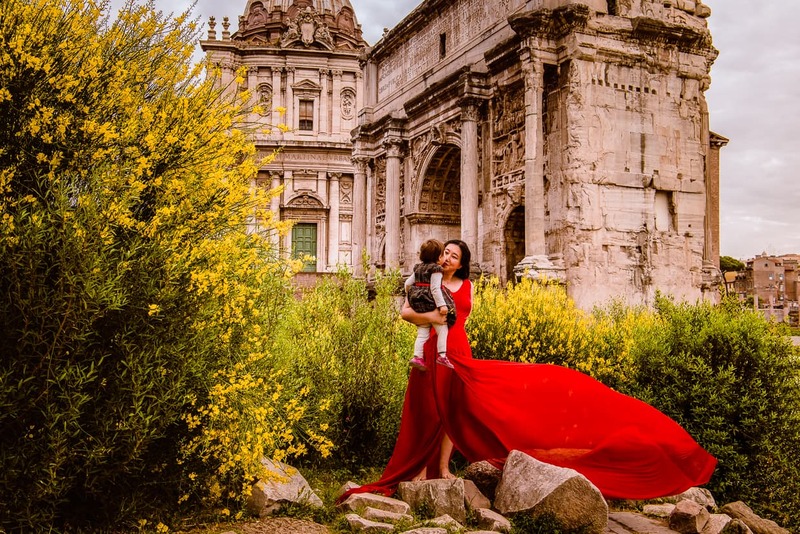 We had deliberately chosen an Airbnb that was just a few hundred feet from the Colosseum, which was our primary photography target during our stay (as a result, we’ve also published articles on the best photography angles for the Colosseum, and how we took our very best photo inside the Colosseum). If you’re interested in reading more about that Airbnb, check out Every Airbnb We’ve Ever Stayed In, and also read our Airbnb Tips for Slow Travel. Before we dressed up all fancy for our most important photos, we wanted to make sure we had a really good feel for the lay of the land. The first thing we did was walk the perimeter of the Roman Forum to see if we could find any good angles for free (boy did we, keep on reading). Second, we did a scouting visit to the Roman Forum to find the angles that we wanted to photograph on the inside. When we do our photography scouting trips, we tend to take advantage of them for our sightseeing as well, that way we can be all business when we come back for our photos. Lisa enjoying the ruins of the roman Forum. 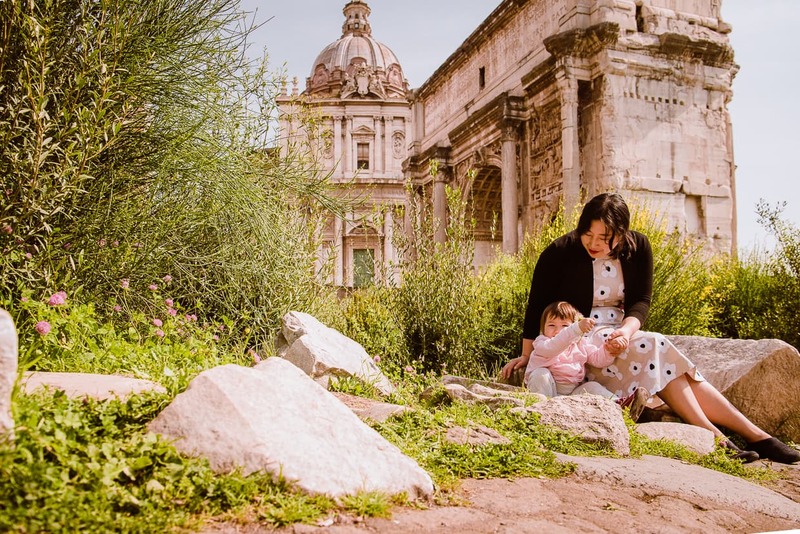 The Roman Forum is very child and toddler friendly. It is not stroller friendly, though, even if you have an amazing travel stroller like ours. If you have a child with you that is too young too young to walk, we recommend that you bring a chest carrier. The park is full of stairs and really big cobblestones that a stroller will not be able to handle. 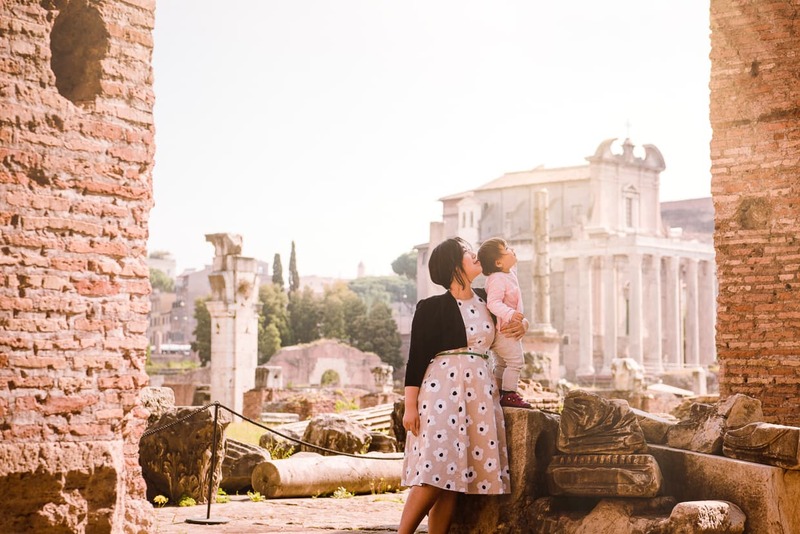 Here’s everything you should need to know when you are ready to visit the Roman Forum. It’s best to buy your tickets online because it is one fewer line that you have to wait in. The tickets to the Colosseum and the Roman Forum/Palatine Hill come bundled for 12 Euros (14.13 USD), and they are good for one visit to each site over the course of two days. That means you can either see them both in one day or space it out over 48 hours. I recommend doing the latter so that you 1) you don’t get too tired, and 2) you can do them both in the morning. 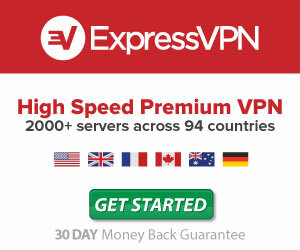 Make sure you buy your tickets from the official website, as a google search will yield several sketchy ads from resellers first. You will have to get your ticket printed out. Most likely your hotel concierge can take care of that (our Amazing Airbnb host was happy to help too) but if that’s not the case, track down a print shop nearby or just purchase and print your tickets before you even leave home. The official opening hours of the Roman Forum are ridiculously complicated, so I won’t bother trying to rewrite them all. Like most places in Rome, it’s best to visit the Roman Forum as early in the morning as you possibly can. The lighting is best in the morning, and the crowds are thinner too. 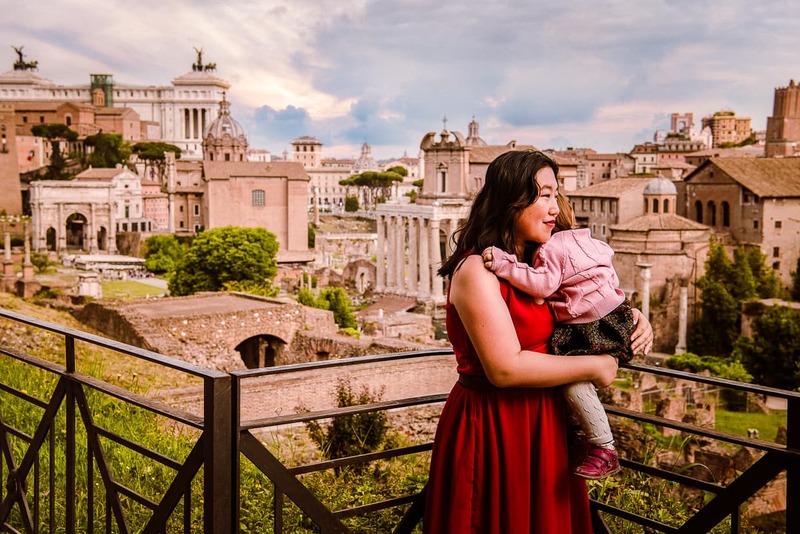 Rome is also very hot for much of the year, so visiting in the morning will help you avoid getting burnt, dehydrated, or otherwise overheated. 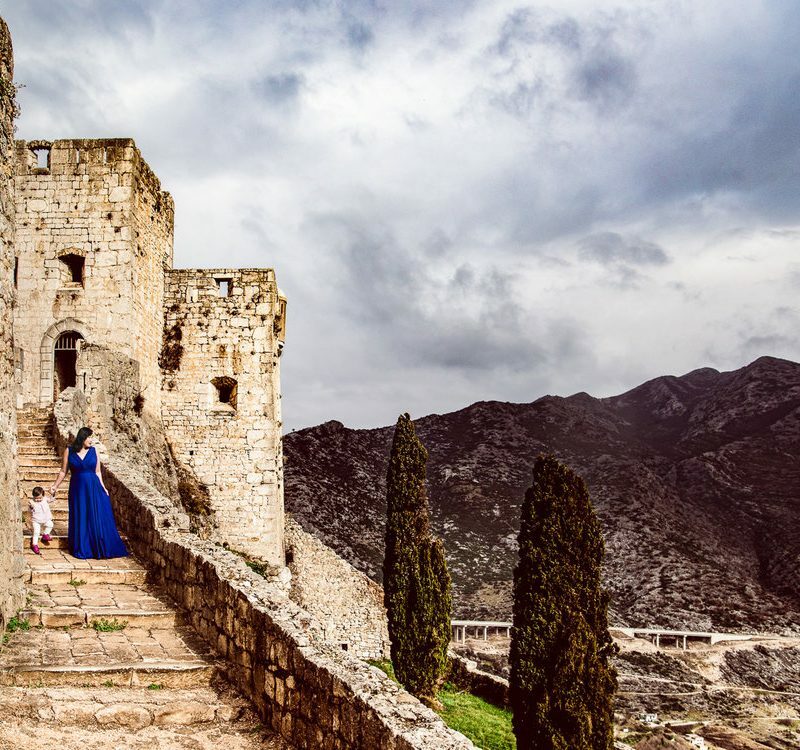 In the morning, the sunlight will be pouring in from the East, casting long, beautiful shadows across the ruined landscape, and giving you flattering backlight for a lot of the best angles. Since you bought your ticket online and printed it ahead of time, you can skip the ticket booths and go right to the entrance. I did a little searching and the internet tried to tell me that there is just one entrance to the Roman Forum (plus one entrance to the connected Palatine Hill). The internet is wrong! 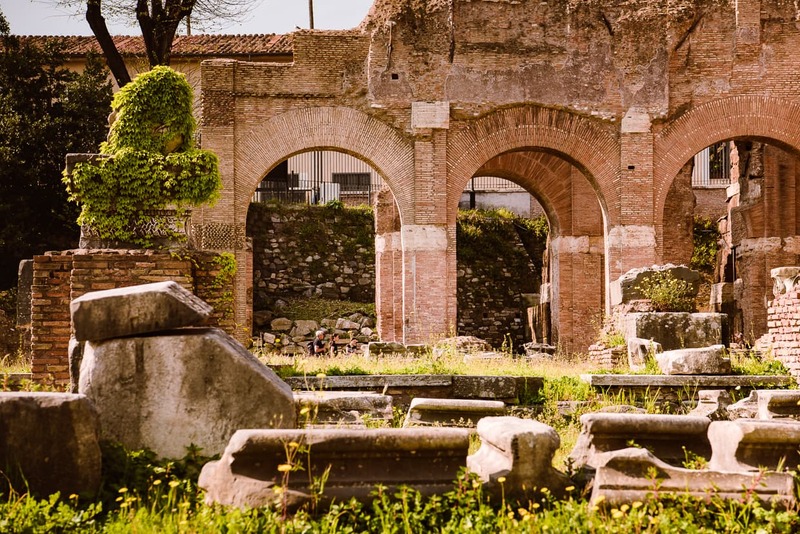 There are two entrances to the Roman Forum, each has its advantages. The main entrance to the Roman Forum (Google Maps) is right off Via Dei From Imperiali. This entrance has a couple of advantages. If you are traveling from most of Rome, this entrance will probably be closer, and it is easily accessible. Taxis will know where it is. Just head Southeast from Piazza Venezia (Google Maps Directions) and keep an eye out on the right. 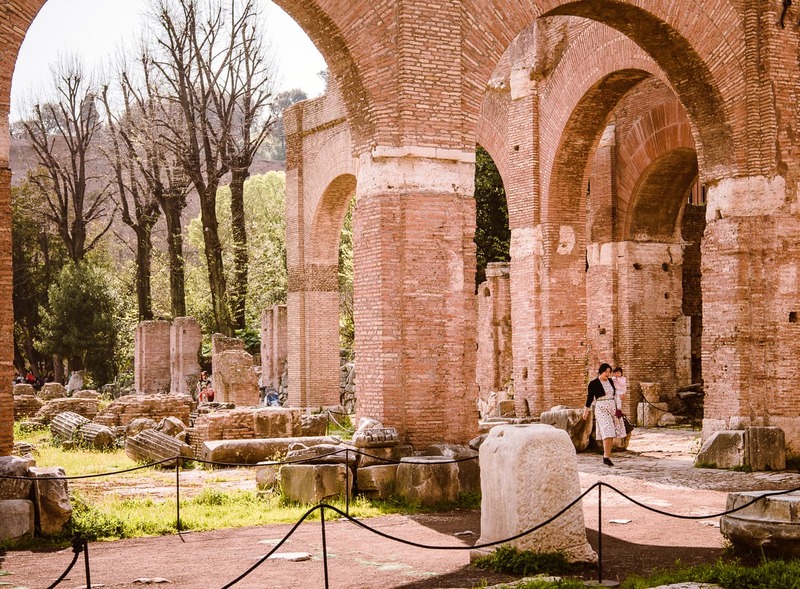 Another advantage to this entrance is that it is closer to some of my favorite locations inside the Roman Forum, so once you are inside, if you want to rush straight there to beat the crowd, you’ll have a shorter walk. The big disadvantage of this entrance is that it is better known and more popular, so you will have more crowds to fight. 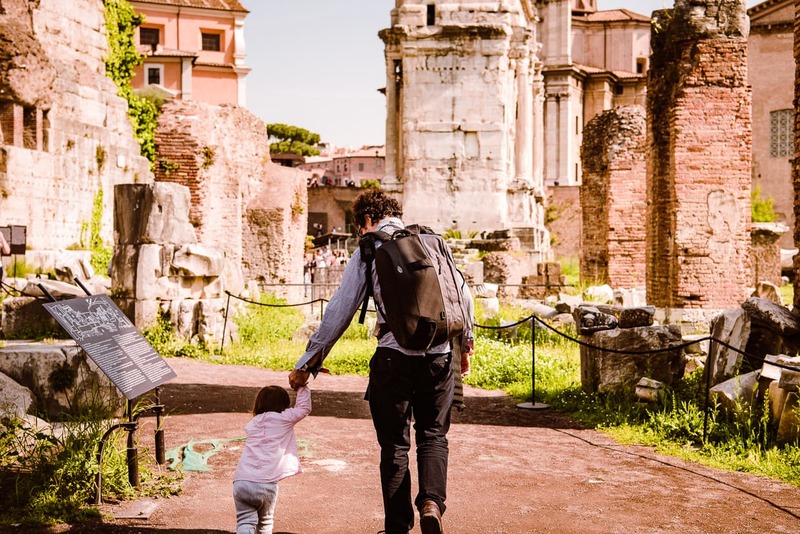 The second entrance to the Roman Forum (Google Maps) is on Via Sacra, a cobblestone road that goes uphill from the eastern side of the Colosseum. Don’t confuse it with Palatine Hill entrance (Google Maps) which is south of the Colosseum on Via di San Gregorio. We used this entrance because it had a couple of advantages. For one thing, it was closer to our Airbnb, so there’s that. Because it is less popular, it was very easy for us to be the first ones in line, and because there was no traffic on the pedestrian road, we didn’t have to worry so much about Lisa when she wandered around. The Roman Colosseum as photographed from the Via Sacra entrance to the Roman Forum. I’d like to remind you once again to read our article about the best photography angles for the Roman Colosseum. Here are some of the best spots we found. Of course, just being in the right place at the right time is only half the challenge. If you know how to use your camera properly, you’ll also be able to make the most of your equipment and your time. 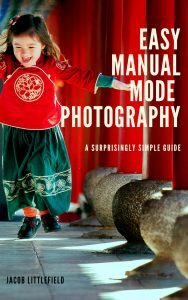 Have a look at my e-book, Easy Manual Mode Photography. It’s a small investment compared to a camera or a trip to Italy (or getting up early on vacation, for that matter). 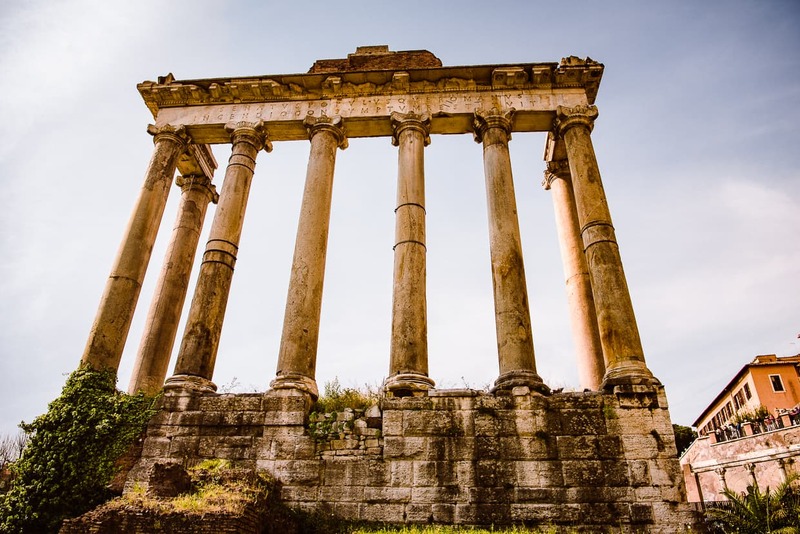 Behind those columns, you’ll find a dirt and cobblestone road that curves upward along the back wall of the Roman Forum. Next to this road, there is a patch of flowers where Dannie and Lisa sat down to relax during our scouting trip. We couldn’t help but notice that the view behind them was incredible. 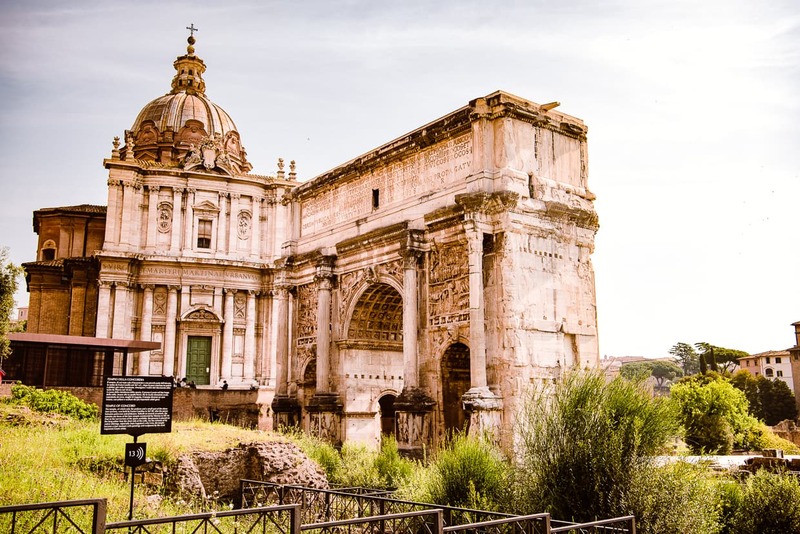 The Arch of Septimius Severus and Santi Luca e Martina. In the background are the Arco de Settimio Severo and the dome of Santi Luca e Martina. Here is what that location will look like (Google Street View) when you are on the ground. 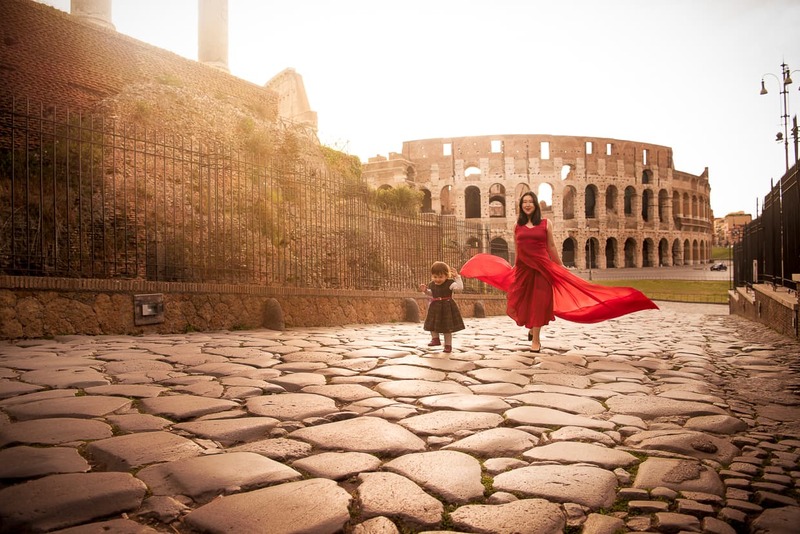 Funny story; between the bright red dress and the big DSLR, we made such a production out of this shot that the guards got suspicious and followed us around for a while afterward, talking into their radios. I wonder how many times that’s happened to us in the past and we didn’t even notice. Basilica Julia (Google Maps) isn’t much of a basilica anymore. It’s more like a few brick arches and some stumps of columns. But it sure does provide a nice foreground for some photos of the Temple of Antonius and Faustina. 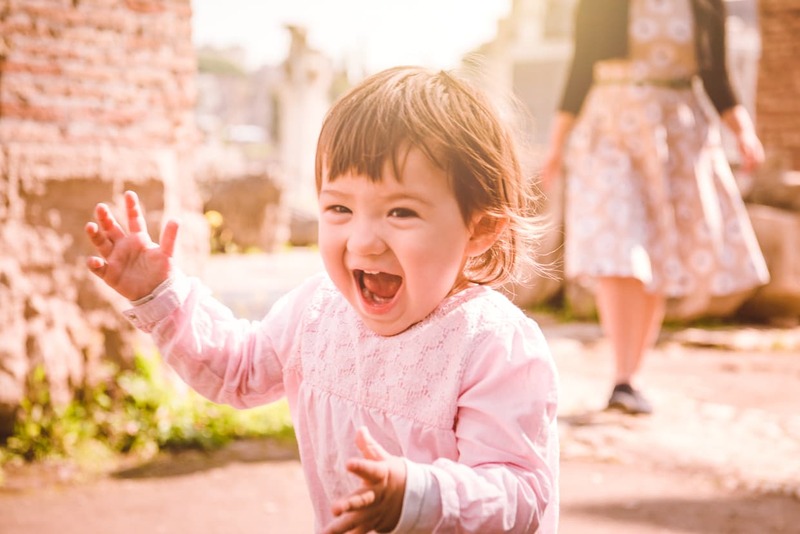 It’s also a nice flat space for toddlers to walk around, and because it doesn’t look like much from the outside, most tourists don’t bother walking over there, so you are less likely to be bumping elbows with other visitors. We really liked the view facing Northeast from Basilica Julia, and Lisa really liked looking at the columns, so this was a great location for us. Here’s what it looks like from inside (Google Street View). We were able to get the Temple of Antoninus and Faustina in the background while Lisa explored. The Temple of Antoninus and Faustina between the columns of Basilica Julia. 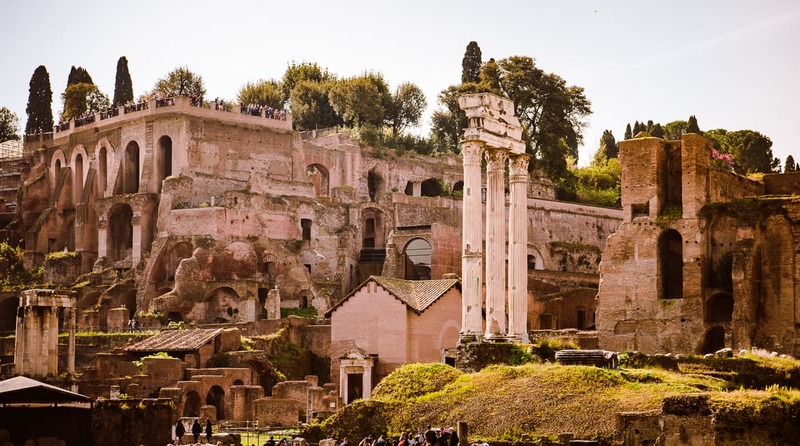 The Roman Form and Palatine Hill are basically both part of one big complex. They have their own entrances and exits, but a single ticket gets you into both. A lot of people say that it’s better to do the Palatine Hill first so that the climb to the top isn’t so steep, but for our purposes we found it easier to climb up the steep stairs from the Roman Forum so that we could get one last panoramic shot on our way out. There is a Big Platform (Google Maps) overlooking the Roman forum, and from this angle you can also see the top of the Alter of the Fatherland in the background. The view of the Roman Forum from Palatine Hill. Even though we saved this shot for one of our last, it still wasn’t particularly crowded yet, probably because people who entered from the Palatine Hill entrance were still making their way up the long way. It can have quite a few people on it sometimes though, as you can see (Google Street View). A view of the Roman Forum including the Temple of Castor and Pollux and Palatine Hill (see the platform up there?). This is from our late-morning scouting trip, which is why it is so crowded. 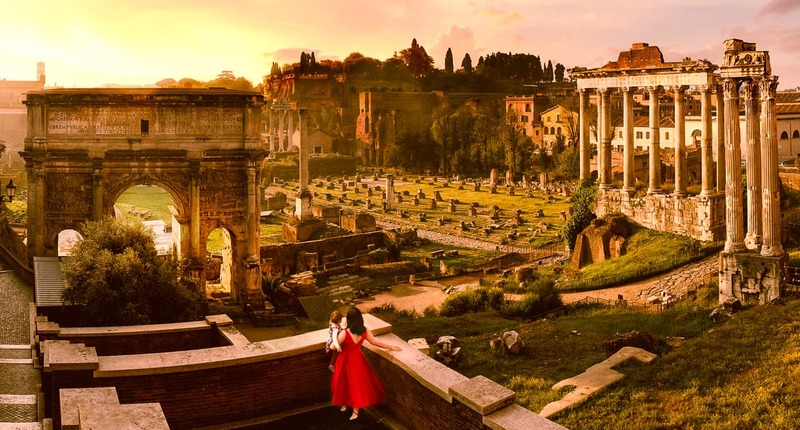 It turns out that the best view of the Roman Forum – in our opinion – is actually free to the public. Via di S. Pietro in Carcere (Google Maps) is a small road that runs from Via dei Fori Imperiali up toward Campidoglio. It’s not the most popular way to get to Campidoglio (the stairs to the north are), so some people might miss the platform overlooking the Roman Forum just off Via di S. Pietro in Carcere. It can still be crowded intermittently though because tour groups often stop there, so it is constantly filling and emptying. We got there bright and early in the morning so we could take our photos just after sunrise when the lighting was amazing and no other tourists were around. 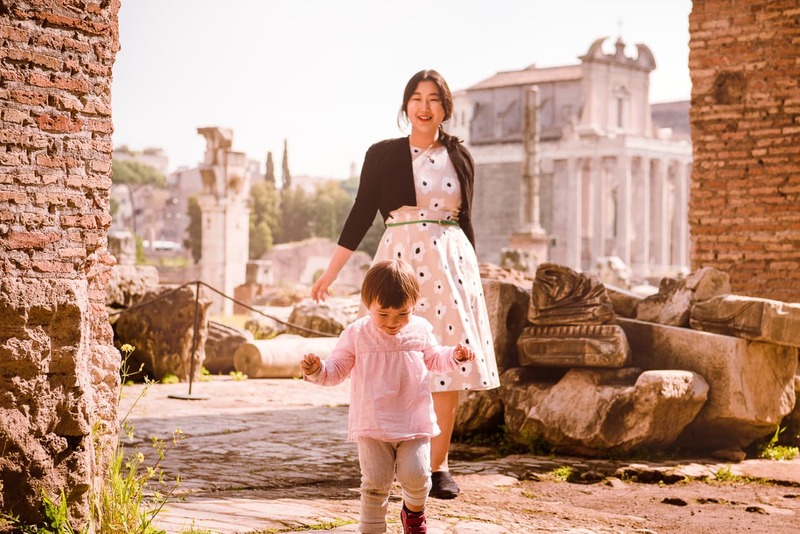 This platform offers the best photography angle of the Roman Forum at sunrise, and it’s free. Here is a what the platform looks like (Google Street View). I had Dannie and Lisa stand on a lower level of the platform and I took our photo from above. Actually, I took multiple photos and Dannie stitched them together into a panorama, just like we did with the Colosseum. We also set up a flash on the same level as Dannie and Lisa since they were backlit by the sunrise and we wanted a little fill light. The camera we used for this (and all of the other photos is our Nikon d810, and the lens was a 24-70mm. 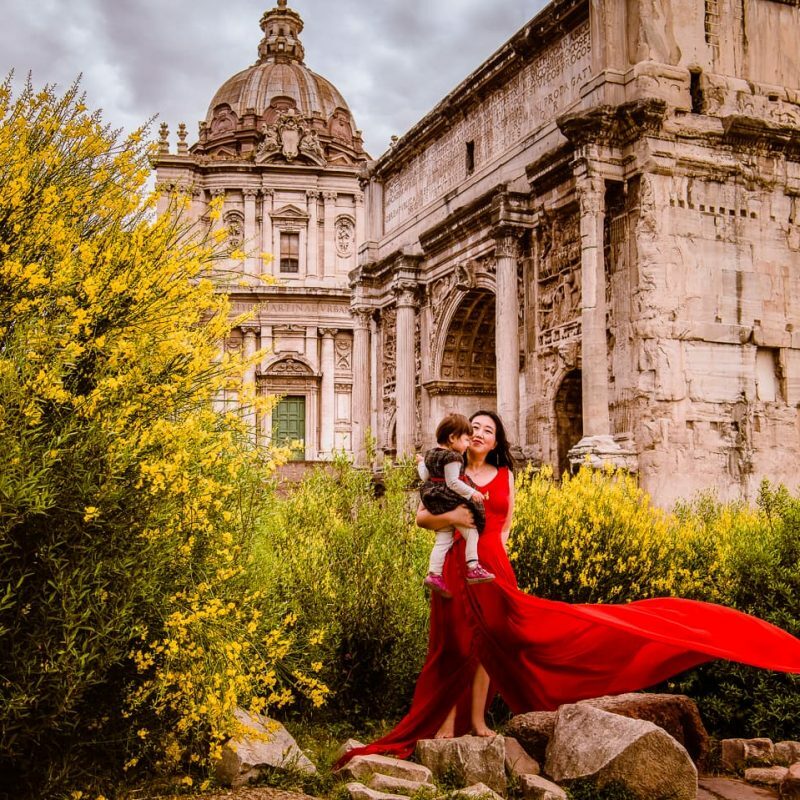 The Roman Forum is one of the easiest places in Rome to take some amazing photos, and if you don’t mind getting up early, it’s not too hard to avoid the crowds. We focused hard on photography, but it’s a landmark that you shouldn’t miss (not that you were planning to). Just remember to buy your tickets online to save time. 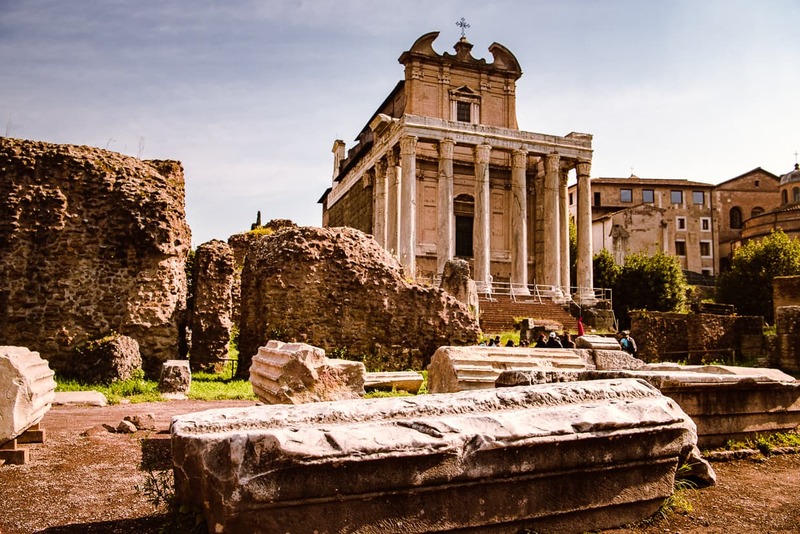 The Temple of Antoninus and Faustina in the Roman Forum. If you found this article useful, you might also enjoy are posts about Roman Colosseum photography angles, and about our quest to get a great photo of the inside of the Colosseum. If you’re moving on to other cities in Europe after your stay in Rome, you might also like to read our articles about Venice, Italy and other destinations. 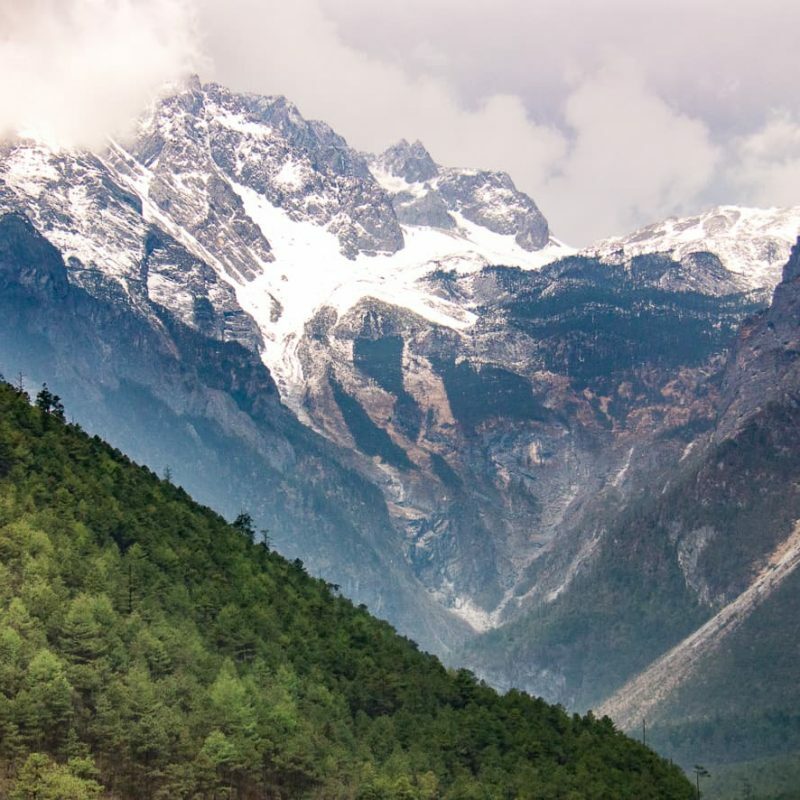 And of course, if you have any questions or tips to add to this article, please comment below so that other travelers and photographers can benefit. We really appreciate you takin the time to read this article, and we hope you enjoyed it. If you’d like to help support our travels, we’d love it if you’d visit our shop or our resources page while you are planning your next big adventure. Happy travels.